Can I add a waterfall to the pool? Yes, we add waterfalls regularly. 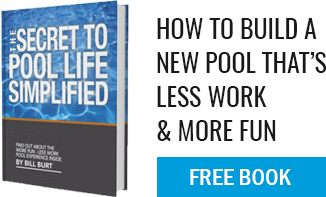 Start with the design of the pool (size and shape to fit you, the site and the budget). Then add a waterfall as an “a la carte” item. The design of the pool does not change. Just the “water feature” as a stand-alone item. Many people like the “idea” of the waterfall (the sound of water, aesthetics) but due to budget constraints, or desire for more time-saving features (like in-floor cleaning systems) add those instead.